The Purge is written and executive produced by the film franchise creator James DeMonaco and led by Jason Blum. Additionally, the entire team behind the blockbuster franchise ‎are on board to executive produce: Michael Bay with Brad Fuller and Andrew Form under the Platinum Dunes banner and Sebastien K. Lemercier. Thomas Kelly serves as executive producer/showrunner of the series. Emmy® and Golden Globe® award-winner Anthony Hemingway will direct and executive produce the premiere episode. 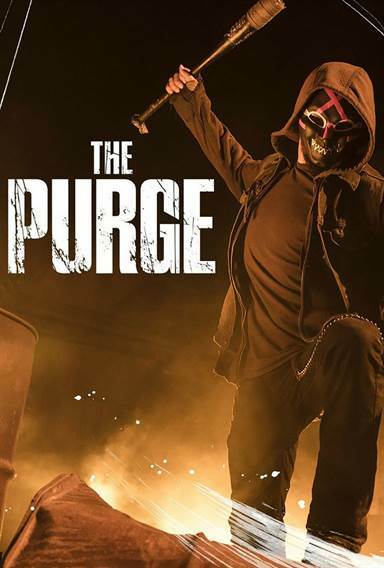 Download The Purge TV Series in Digital HD from the iTunes store. The Purge TV Series images are © Universal Cable Productions. All Rights Reserved.